Tom Cruise comes to mind for some reason. I wonder if I am having a Jerry McGuire moment? Then I think mid life crisis? Hmmm. Does that happen at 40? Is this mid life? Have I reached mid life? Geesh! Perhaps I am just flat out crazy. I wonder if that is what other people think? “KV is crazy!” Can’t help but chuckle at this because I know it is so true. Crazy IS living. Risk-taking IS living. Fearless IS living. Success IS living. All of which embody my makeup. Who God made me. Who He wanted me to be. Courageous, strong, hard-working, loving, passionate, compassionate and one who follows Him (despite my constant battle over control with Him…that’s a whole different subject). I am retiring from wedding photography. Oh there are a bunch, but in a nut-shell let’s list the my top three. SIDE NOTE: This is NOT meant to distract, discourage or offend other professionals and/or new professionals coming into the marketplace. 1. Photography is/has been rapidly changing. For the last couple of years, I have found myself chasing my business versus being ahead of it. 2. Growth is crucial to success, however if I want to grow in the realm of photography it means getting on the road. I don’t want to spend my life on the road working…away from my family. 3. Retirement is closer than we think. Something about turning 40 this year has set us in motion. Preparation mode if you will. We set a New Years Resolution…#yearofeducation. It has been great as we (the hubby and I) have accomplished some pretty cool things! Ken and I have always had a vested interest in our own personal real estate investments. Fourteen years of marriage has allowed us the experiences of buying/selling multiple homes as well as commercial. And then mid last year (when I was driving around with a dear friend of mine looking at homes) a light bulb went off. She said, “You would be good working with people buying homes.” At first I thought she was nuts. I was TOO busy and TOO tired to start (another) something new. But for some reason it resonated with me. And so here we are. Now doing what we have done for ourselves many times – for others. Nine months later of getting our feet wet, investing not only money (holy cow it’s expensive getting this business off the ground) but time, energy, souls, spirits…making sure this is what we wanted. What we were passionate about. What we would be good at. And we are!! 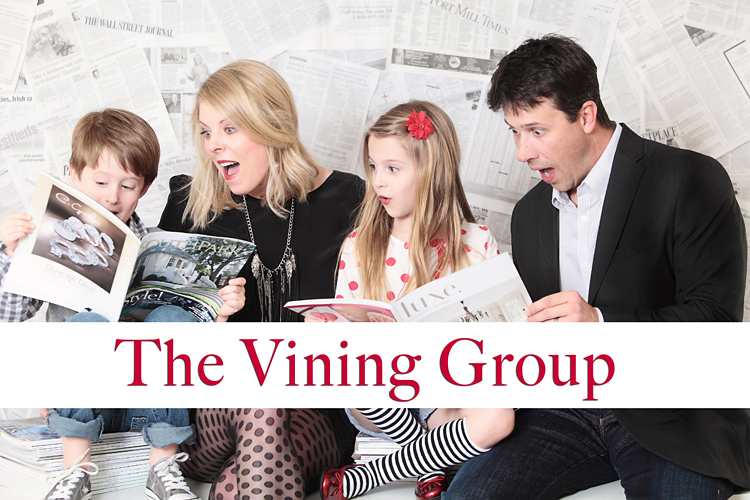 The Vining Group represents both SC and NC buyers/sellers/investors FULL TIME! Keller Williams-Baxter Village Market Center is where we hang our licenses. We have a new “Cubby” (which has been super fun to personalize), we’re head-over-heels in love with our team leader, broker-in-charge, fellow colleagues and office philosophies (God, Family, Business). We already have a few buyers lined up and looking, and I cannot WAIT to LIST our first house. I GET TO TAKE PICTURES OF IT!!!! And that means that we’re helping someone find their next place in life. Pretty cool stuff! 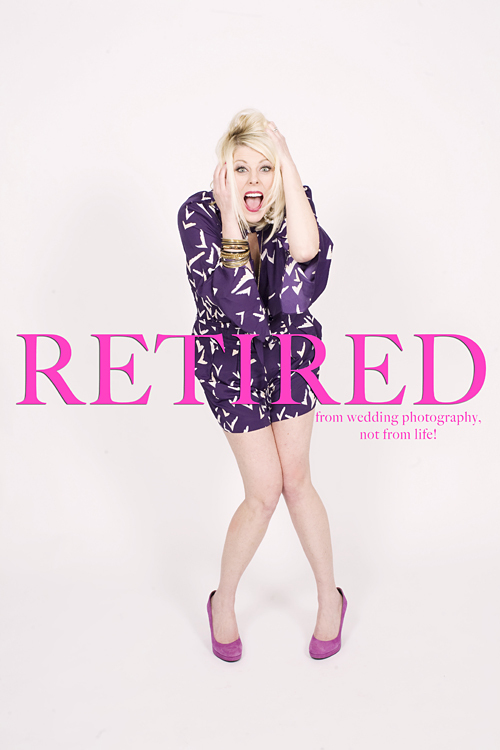 So while I maybe retiring from wedding photography, I am not retiring from the creative. I intend on shooting a new home…at least twice a month. And that is just a start! Oh, and I have these two little creatures in my life named Bray and Addy that I gotta keep documenting (despite their enthusiasm!). Okay beautiful people…TELL EVERYONE YOU KNOW!! In closing, I have to share this quote. Perhaps it will move you the same way it did me. “In order to succeed your desire to succeed should be greater than your fear of failure.” ~ Bill Cosby. What we’ve been working on this last week. 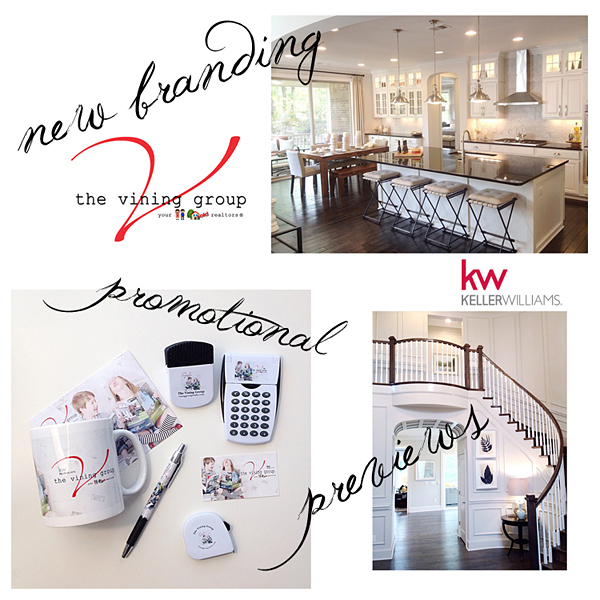 Rebranding, promo products and previewing inventory for buyers. Leave a little blog love! Sue McFarland - Oh Kristin, I really hate to hear this. I am super excited for your new ventures and plans, but you are a very inspiring photographer and I will miss your beautiful photos!! Good luck and don’t forget to post some shots of those gorgeous children every now and then! Andy Chen - stephanie told me the news last night when we were out at an event. best wishes. bummed to hear you’re moving on; made me feel the touch of mortality. Today we are smitten and crushing (all over again) Alexandria and Mike’s wedding!! A gorgeous summer affair filled with plush arrangements, sentimental touches and lots of DIY, I once again was like a kid in a candy store photographing all the delicious details. Please enjoy a little snippet into this crazy sweet, athletic and oh-so-in-love husband and wife’s grand day!! Oh…and be sure to check out their fun White Water Center engagement session here!!! Welcome to the world, Lily!! Obell and Matt, I could not be happier for the two of you. What a gift!! Loving how our journey continues… engagements, bridals, wedding and now this sweet precious soul! Thanks, LRT for the beautiful hair and makeup!